3. If you are applying for the Video Artist position, please provide us with links to a few of your videos. ** We will be accepting applications until February 28th and the team will be announced shortly after. Officially it is still winter, but the beautiful sunny days remind us that it is time for the spring work in the garden. Chloe and Ben are already fully occupied. Let us see how successful they are at this. 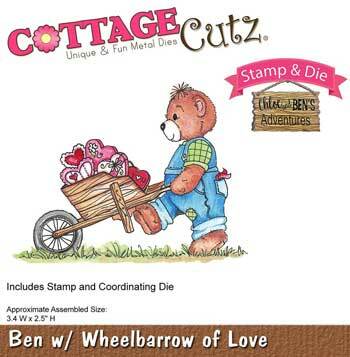 Stamp both bears on watercolor paper and color them. Cut them both with the matching dies. 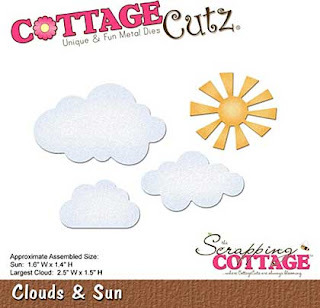 Prepare few spring greenery cutouts, cloud and sun. Cut and fold card base as shown. Fasten selected patterned paper on the card base. Start by assembling the card. Apply glue and self-adhesive foam pads. 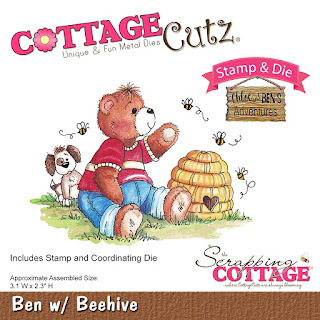 Hi, Lois here with another cute CottageCutz stamp and die set to show you today -- Ben w/Beehive. 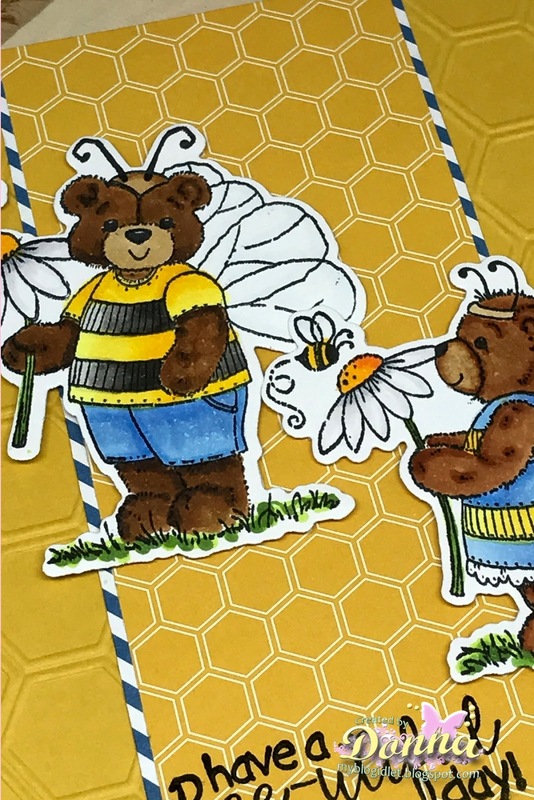 These bears are just the cutest things! If you haven't seen Chloe and Ben yet, take a look at the whole set. My card is relatively clean and simple, although the die cut is popped up on foam dots. It's Donna here and I am using one of the new Bumblebee Chloe and Ben stamp and die sets. 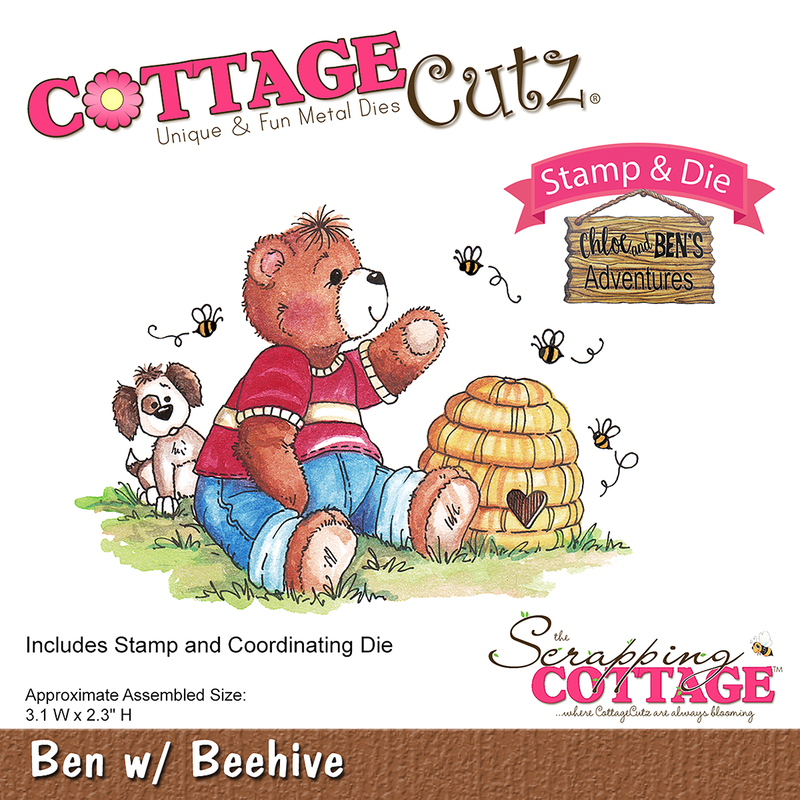 If you have not seen the new sets, be sure to go over to the store and see all these adorable Chloe and Ben's Adventure Stamp and Die Sets! 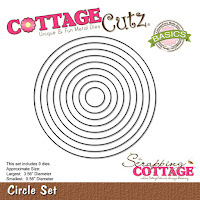 This will be my last post with CottageCutz! I can't believe I was on the team for one year! My how time flies when you are having fun. It has been a pleasure to work with the wonderful ladies on the Design Team. 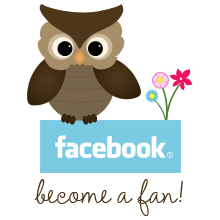 Thank you to all the awesome blog followers who read and commented on my post. 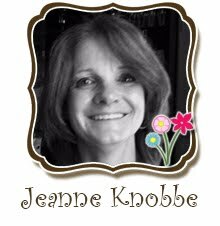 Thank you Joanne for having me on your team! 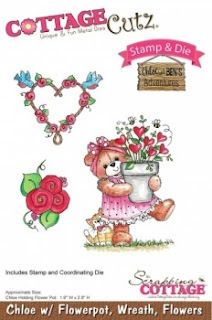 We have some fabulous new Spring dies in the store. Today for your viewing pleasure, I am featuring the Butterfly Cross die. I started my card by using this weeks sketch #633 from Splitcoaststampers. Using a sketch almost always is a good starting point for me. When I saw the layout and the rectangle layer in the circle I thought of using the Butterfly Cross die for that part of the sketch. Daffodil Yellow Card Base: 5 1/2" x 4 1/4"
Patterned Paper Layer: 5 1/2" x 2 7/8"
I wanted the card to be bright to reflect the Spring & Easter season. So I looked through my stash first for patterned paper. I chose this lilac striped paper and decided to pair it with a daffodil yellow card base. 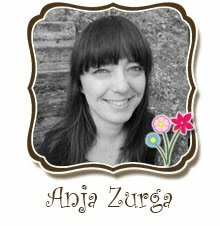 I cut the first elements of the sketch: the card base, patterned paper circle, purple layering piece and the scalloped border. 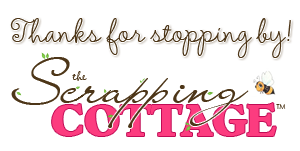 For the scalloped border, I used the Sweet Love Border die. When I placed it underneath the patterned paper, I moved it up just to reveal the scallop edge. For the lilac layer above the patterned paper, I cut it 3/4" x 5 1/2". It's not necessary to use a bigger piece of cardstock to layer in this case. I cut the Butterfly cross in lilac. I decided to add some tulips at the base of the cross. 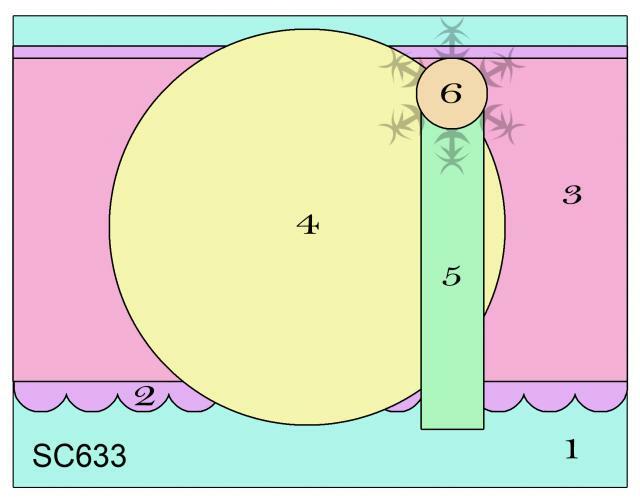 The tulip die is from the Hello Spring die set. This was a 2016 spring release. I cut the tulips in yellow to pick up the card base color. 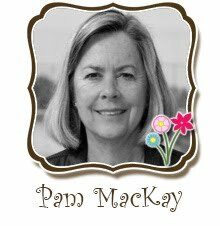 Easter sentiment is stamped in Tuxedo Black ink. The greenery under the tulips is the snow bank from the Snowman w/Lamp Post die set. 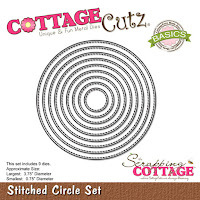 I cut it then placed it in the circle die and cut it again to get the rounded edge. Just another way to get more mileage out of the dies you already own. 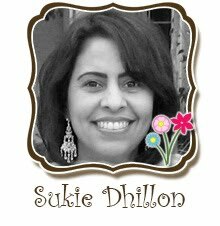 To complete my card, I added a butterfly. 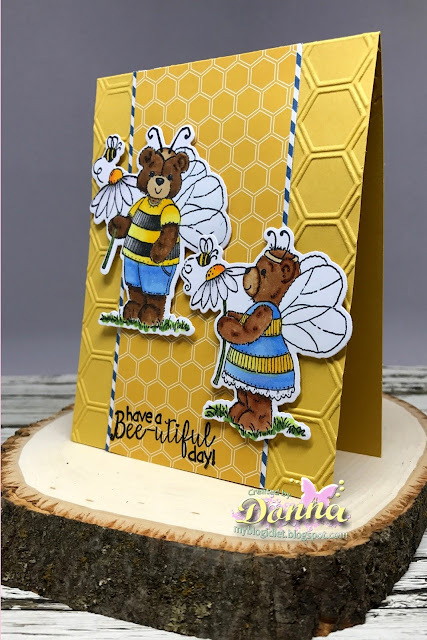 I used the butterfly die from the Fancy Pocket Plus die set. I cut it in with the lilac cardstock and then a top layer of daffodil yellow patterned paper. Finished it off with a couple of light yellow pearls. 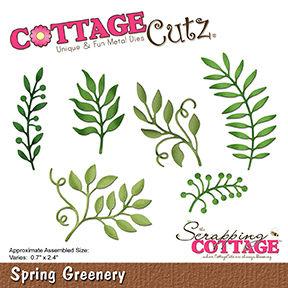 We have some fabulous new Spring dies in the store. 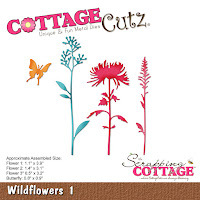 Today for your viewing pleasure I am featuring some of the new Wildflowers dies. I have used Wildflowers 1 and Wildflowers 3 on my card for today. Let's get started on how I created this card. Mint Green Card Base: 5 1/2" x 4 1/4"
Navy Layering Panel: 5 3/8" x 4 1/8"
Patterned Paper Panel: 5 1/4" x 4"
I wanted to use these beautiful wildflower dies to create a sympathy card. 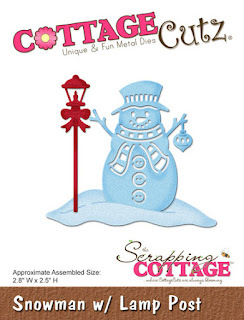 My choice of colors today came from the Splitcoaststampers color challenge #622. When I was looking through my cardstock, I found these A2 card bases in my stash that had a watercolor wash. It was perfect for my card idea. So all I did was cut the A2 card to the size panel that I needed. The card had the watercolor design on the front and back of the base. So now I have another panel to create a 2nd card. I matched it up with a mint green and navy blue panels. 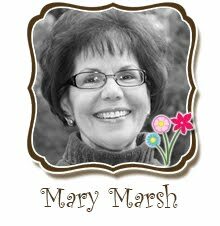 Even though I was creating a sympathy card, I still wanted a splash of color for the flowers. I used the watermelon color for the wildflowers. I thought that would look good against the mint and dark blue of the card front. I stamped my sympathy sentiment on the image panel in navy ink before I assembled my card. I then assembled the panels with double sided tape. 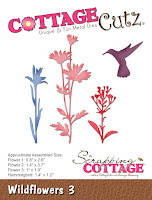 I didn't add my die cut images because I didn't want the flowers to interfere with the layering. Sometimes it can through off your eyeballing of getting the layers straight. My next step was to add my wildflowers, butterfly and scatter a few sequins to finish off this card. I like to have a sympathy card or 2 in my stash for when the occasion arises. 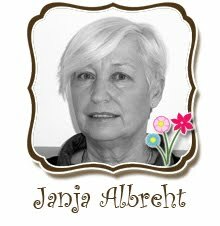 It's easier for me to create a sympathy card when you don't need one. Below is a photo with a close-up view of the dies. You can always click on it to get a larger view. 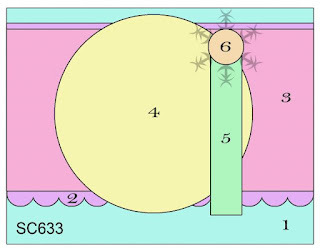 Variation of card. On this one I used navy blue enamel dots and a dragonfly.